UK housing market house price growth October figure sent a clear message through the entire market. The month posted the lowest percentage of house price growth in five years according to Nationwide. The 1.6% growth for the month has now experienced increase in the month of November. The month saw house price growth rebound to 1.9% for the year as the winter weather poured in and the year came 30 days closer to 2019. House price growth is the common factor taken into consideration for strength of the housing market. Although Brexit has created a mass amount of uncertainty within the market, house price growth rebounded 0.3% month on month and finished up November at 1.9% for the year. Economists see property value still finishing the year at 2-2.3% higher than when 2018 began. Political issues have kept the housing market in a subdued state for some time this year and most of the time last year. Forecasters of the housing market see the climate not change much all of 2019 and actually see property values go into a pause mode before resuming growth mode in the year 2020. The official date for Brexit to take place is March 29, 2019. 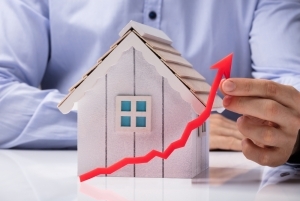 Many economists feel the housing market will start making strides forward following this date. Transactions are expected to rise with increased demand. This will in turn create increases in property values. Many feel remortgage will cut loose again and see strong activity through the summer months and into the fall of next year.